The Chinese have long been fans of kite flying. A recent tragedy that transpired in Eastern China may make one man abandon this hobby. One windy day in Nantong, a province in Jiangsu, two men were relaxing while partaking in some harmless kite flying activities. When one gentleman realized how unpredictable the winds had become, he attempted to retrieve the line. Unfortunately, he was no match for the blustery conditions. While pulling back half the line, a strong wind overtook the kite. The line wrapped around the man’s hand, gripping it so hard that he couldn’t let go. The line was so fine that it cut through his hand with painful precision, leaving the man writhing in pain. According to the victim, it felt as though a knife was slicing through his fingers. The line had done such damage that it severed three of his fingers. He wouldn’t learn how critical the damage was until later. The other gentleman was injured as well, severely puncturing the palm of his hand. When he noticed dark clouds approaching, he too began to reel his line in. However, his injuries paled in comparison to his friend’s. 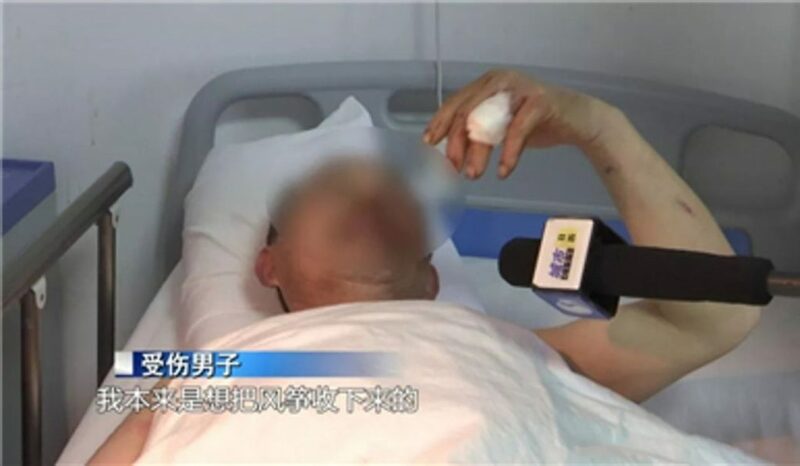 The two rushed to Nantong Orthopaedics Hospital and were immediately sent into surgery. 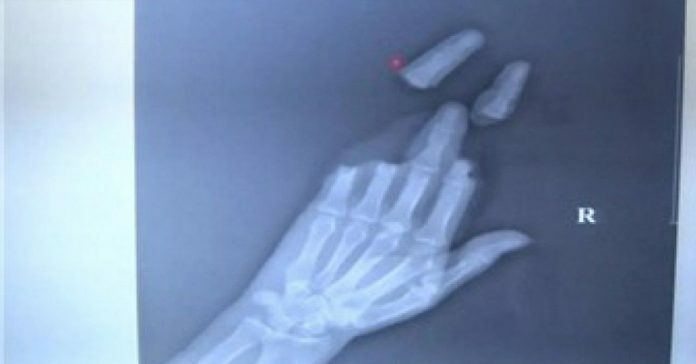 Upon further evaluation, the doctor discovered that the first man’s fingers were nearly irreparably damaged. Fortunately, surgeons were able to reattach the fingers and tend to the frayed nerve endings.